Stimulating the skin’s rejuvenation process is not an easy task, but our IC-RAMP Technology stands behind many of our products. IC-RAMP stands for Inter-Cellular Regenerative, Relay, Resonance, and Amplification. It is one of the most important piece in all of our processes. To understand how IC-RAMP works, you must first understand how the skin regenerates. When something happens, like a cut, the skin undergoes a regeneration process starting with the dermis. The dermis is where most aging tends to occur. Inside is the power to create Connective Tissue Growth Factor (or CTGF), which binds with fibroblasts to create new biological support structures within the skin like collagen, elastin, and hyaluronic acid. The IC-RAMP process begins at the intercellular level. Skin cells continually communicate with each other, and that communication is as important for regeneration as it is for healing. IC-RAMP uses that communication to push the release of CTFG by the keratinocytes, and that creates new tissue to help strengthen and rejuvenate the skin. The technology inside CHOLLEY Phytocell Products helps not only to stimulate that process, but also amplify it considerably. CHOLLEY Phytocell Products employ IC-RAMP technology. 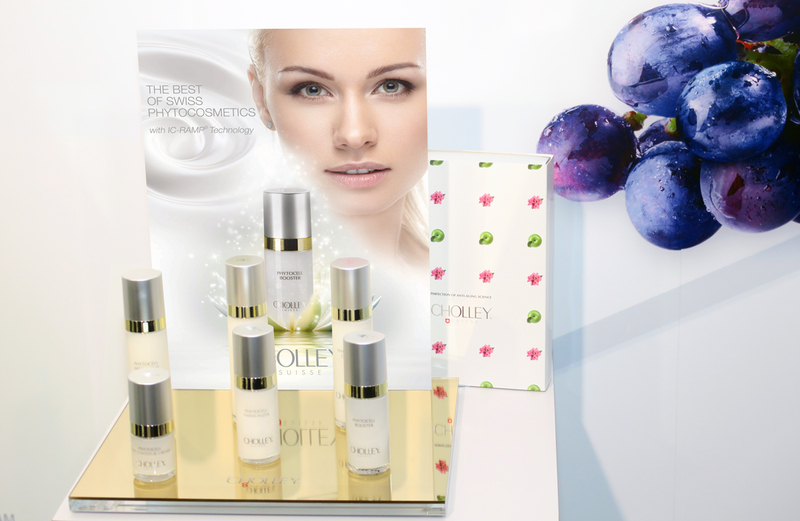 All Our CHOLLEY Phytocell Eye Contour Cream and Phytocell Cream both rely on it. Our CHOLLEY Phytocell Booster with Intense Anti-Wrinkle and Lifting Effects does as well. Additionally, our CHOLLEY Phytocell Whitintense Serum uses the IC-RAMP technology to create a stronger effect. To learn how IC-RAMP might be right for your clients, contact us today.